StreetSide Developments’ unique collection of townhomes in southwest Edmonton is selling fast as it’s already 40 per cent sold. The developer recently released a block of 11 townhomes at Graydon Hill ALTIUS townhomes, which face the tree-line and offer beautiful Heritage Valley views along with easy access to modern conveniences. 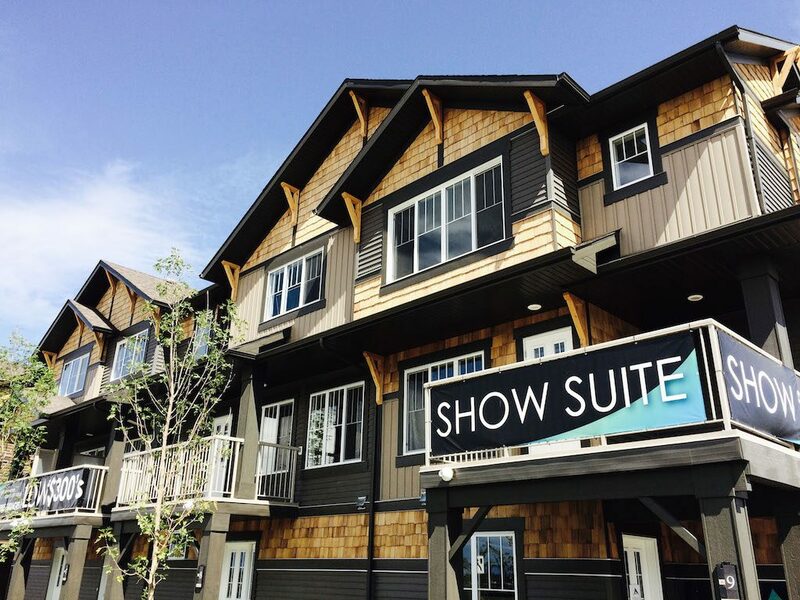 The three-storey townhomes are inspired by rustic prairie and alpine architecture and located in an authentic village setting. Homes range from 1,292 to 1,502 square feet. Homebuyers can choose from six different floor plans and each home includes an attached two-car garage. The development backs onto a peaceful nature reserve and ravine and has paved walkways for residents to explore the community’s green space. Graydon Hill homeowners can expect a maintenance-free lifestyle with designer finishes and large master suites. Units boast laminate flooring, a six-piece appliance package, quartz countertops throughout and energy efficient LED pot lights, among others. Providing the perfect mix of urban and rural living, Graydon Hill townhomes offer easy access to South Edmonton’s urban conveniences. The Jagare Ridge Golf Course is around the corner along with the Terwillegar Rec Centre, which offers swimming pools, a steam room, a fitness centre, an indoor jogging track, three gyms, four NHL-sized rinks and an indoor children’s playground. Graydon Hill homes start at $299,900. StreetSide Developments encourages prospective buyers to visit the sales centre at 9-1005 Graydon Hill Boulevard in Edmonton. To receive more information, click here to register.